1. JTEE is accepted to be indexed in ERIC! 2. ISNITE2019 is going to be held under cover of JTEE and University of Malta in 16-18 September, 2019 in Valetta, Mala. 3. 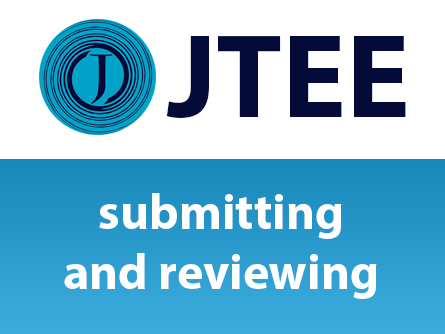 The participants of ISNITE 2019 will be invited to submit an extended and improved version of their papers to a special issue of JTEE. This work is licensed under a JTEECreative Commons Attribution-NonCommercial-NoDerivatives 4.0 International License.